Between April and June of 2014, the Islamic State in Iraq and the Levant (Or ‘IS’ for simplicity’s sake) had an app available for download on the Google Play store. At least 5-10,000 people downloaded “The Dawn of Glad Tidings,” and out of over 600 ratings it got 4.9 stars, making it fairly successful. Users could follow the progress of the Islamic State’s conquests and receive news updates, and, in return, IS took control of the phones’ Twitter accounts and used them to post their messages to the world. Not only did this allow it to circumvent Twitter’s banning of official IS accounts, but it meant that it could create trends all by itself. It’s a rather surreal experience to talk about a militant Islamic group famous for its brutal violence and then mention how many retweets its posts get, but it is precisely because the Islamic State has mastered 21st-century technology that we have to worry about it at all. No doubt, by now, you’ve heard enough about the professionally-produced videos, Facebook and Twitter accounts and media-savvy marketing to Western youth to last you a while—though the fact that over a quarter of IS’s forces may be foreign fighters speaks of the campaign’s effectiveness. But though recruitment is a vital part of its technology use, this goes far deeper than an effective hashtag. Here are the various ways in which IS uses technology to promote its cause. A highly decentralized social network that depends on its users to operate servers, this is perhaps IS’s best option. The site encourages server admins to block IS accounts, but because there is no centralized control, this is one of the few networks where IS could potentially still roam free. It boasts one million users worldwide, making it tiny compared to Facebook, but not entirely insignificant as a recruiting tool. A cleverly named play on “Twitter” this is, in fact, a Twitter clone run by a group of people whose self-stated ideal is to “quit the centralized capitalist services” (thus their name). After being banned from Twitter, IS migrated straight to this service, only to have its accounts taken down and replaced with pictures and links promoting the teachings of Mahatma Gandhi. An “Ask and Answer” website that allows people to put questions to its users, ask.fm has been used in IS recruiting drives to make them seem relatable, particularly with the younger generation. Questions answered have ranged from philosophy to beard grooming. There are still many active Islamic State accounts on this site, which, though its communication potential is limited, makes for a great way to connect different worlds. Along with the less-interactive media sites YouTube, Tumblr, Flickr, SoundCloud, and Instagram, these have been IS’s main attempts to maintain social media presences, but they are hardly its only ones— it’s been banned from services you probably haven’t even heard of. Friendica, JustPaste, GulfUp, and Russian social network VKontakte are a few of these. In fact, the Islamic State has even managed to make its way onto Ello—the latest Facebook rival which is still in beta and has a waiting list to get in. As a member myself I did a bit of searching and can confirm that there are several (not-very-active) accounts claiming to be affiliated with IS. I’ve already mentioned IS’s most ambitious foray into the world of smartphone apps—The Dawn of Glad Tidings—but that’s hardly all there is. Apps are one of the Islamic State’s most important communication tools, both for recruitment and logistical purposes. Already a very popular messaging app in the Middle East, WhatsApp was co-opted by IS for its communication potential and private nature. IS members would commonly give their WhatsApp username to people looking to potential recruits, and would also use it to coordinate smuggling transactions and similar operations. It was even reported to have been used during combat. However, in October of 2014 IS posted messages warning “brothers” to stay away from the app, as it had some security vulnerabilities that might compromise operations. With IS no longer using WhatsApp, Kik has become its go-to real-time messaging service. Not only does it link the Islamic State’s western associates directly to the Middle-Eastern battlefield and provide a powerful personal recruitment tool, but it has also been used to coordinate front-line operations and black market deals in much the same way that WhatsApp has. IS doesn’t seem to have found any issues that might discourage it from using this yet, which speaks well to the app’s security, at least. Also fairly significant in the app world—though also accessible via computer—is Mixlr. Via this app/site, listeners can follow and tune in to live internet radio broadcasts. The IS channel currently has over 600 followers and 45,000 listens, making it a fairly significant tool for spreading the ideology. 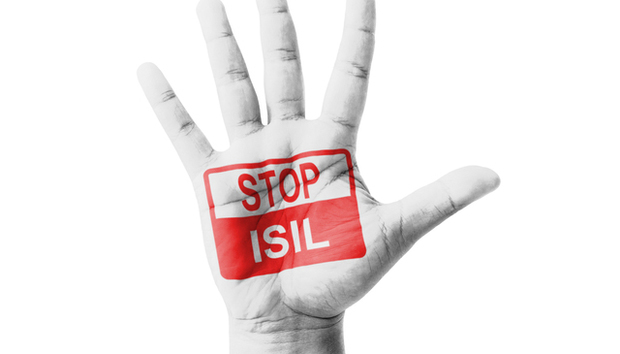 If you haven’t guessed yet, the Islamic State is fairly tech-savvy. How long it can sustain this level of ability, given that IS has been actively banning science and math education in its schools, is uncertain. For now, though, we can be fairly certain that at least a few members of the organization are experienced in using publishing layout tools, graphic design programs, video editing tools, and more. 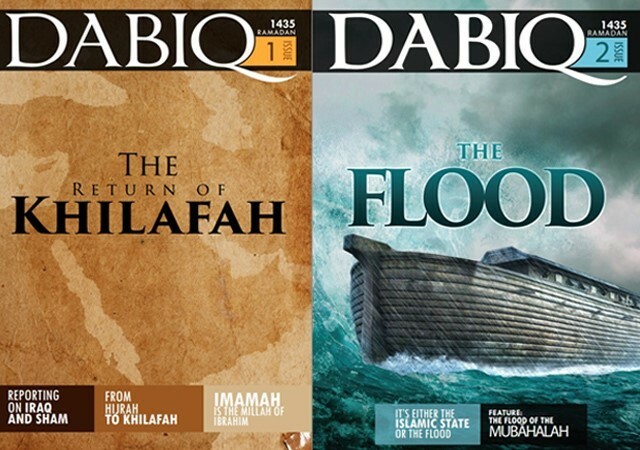 The level of design expertise that they demonstrate is fairly high—these billboard-style ads, for example, aren’t too shabby, and the cover for their English-language magazine, Dabiq, is downright professional-looking. Archive of issues available on The Clarion Project's website. One of their most important programs, however, is actually one of the duller ones: Excel. Whether IS uses the Microsoft tool or some other spreadsheet program, there can be no denying that it keeps impressive records. In fact, one of the very first traces Western intelligence caught of the Islamic State was when they came across a pile of organizational and financial records in a ditch in Iraq. IS is highly bureaucratic and well-managed, and given that estimates puts its income at 2.5+ million USD per day (and that’s just from oil), it most likely has a team of accountants compiling and cataloguing data in each of its territories. Though the West still perceives it as an out-of-control terrorist organization, the Islamic State currently administrates territories with a total population of at least eight million people, and has committed itself to providing services such as water, electricity, food, justice, education, and healthcare. Though it is still a radical religious organization dedicated to the establishment of Sharia law by force, IS is almost more government than it is militant at this point. A great deal of their infrastructure depends on precisely such pedestrian tools as spreadsheets. And finally, though hard data doesn’t exist on the question, I felt it needed to be asked: would a member of the Islamic State use a Mac or a PC? The answer I came up with was, sadly, inconclusive. Given that it seems to have quite sophisticated branches in both the visual arts and the financial sectors, I’d be willing to bet that even the Islamic State has dedicated users of both machines. Those “I’m a Mac and I’m a PC” commercials just got a lot more potentially interesting.